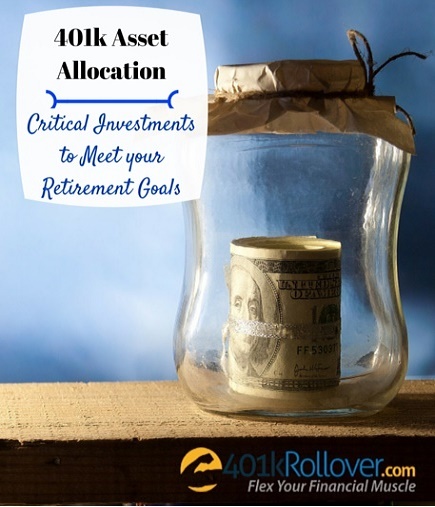 Asset allocation is a term that applies to all varieties of retirement accounts – 401(k) and 403(b) plans, IRAs, SEP account, etc. You can develop an asset allocation strategy by measuring your contribution timeline along with your risk appetite. 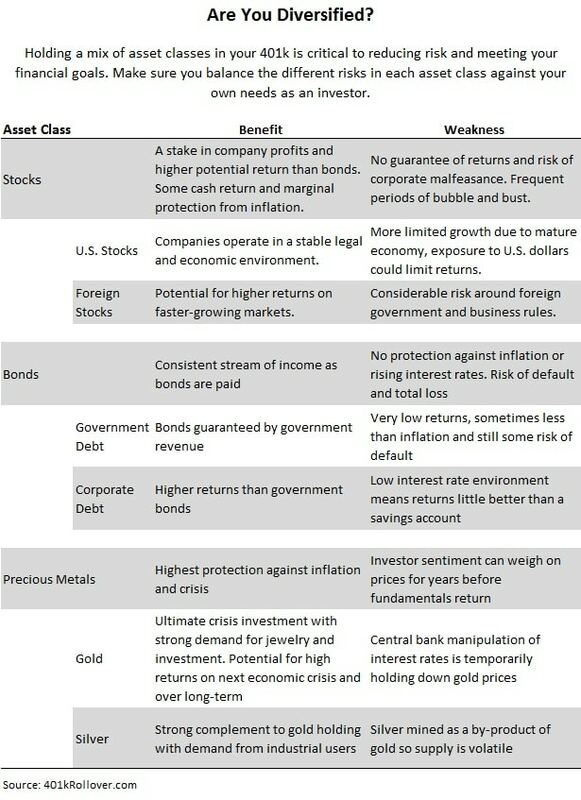 History has shown us that some investments tend to perform well under a certain set of circumstances while other types of assets seem to be better suited for different market rulers. Some employers may advertise a wide range of investment assets, but 401(k) administration and transaction fees can be quite high. Financial advisers all have their own theories about asset allocation, but a reputable company should never tell you to put all your eggs in one basket. Bonds and cash accounts can be good for conservative investors who want to earn a fixed rate, although cash accounts could actually hurt you if you are earning less than 2%, thanks to devaluation of the dollar. As far as bonds are concerned, rates are poised to rise and that would make today’s bonds obsolete, especially if inflation continues to plague bond investors. Stocks and mutual funds have the allure of high earnings for 401k investments, but the Federal Reserve has already started raising interest rates. If corporate taxes rise and cut into profits, as they did from 1960 to 1980, investors fully-vested in stocks would suffer the consequences. Some mutual funds have consistently provided investors with 10%-20% gains over the last few years, but there is still the risk of rising interest rates and since past performance doesn’t predict future performance, you may lose your principal investment entirely. Also, keep in mind that ETFs and gold mining stocks do not mirror the price of gold; those stocks represent shares of companies, not a commodity. Recommendations for asset allocation vary not only from company to company but, sadly, from broker to broker. The truth is that no one asset allocation strategy could work for every investor; there are simply too many variables. 401kRollover.com believes that the last 100 years of American history have shown a clear investing cycle pattern that includes financial services (stocks), farmland and properties (real estate), food, energy and precious metals (commodities) and interest-bearing accounts. Give us a call for a free consultation or just to ask us a few 401k rollover questions. Our non-commissioned advisers can help you help yourself by selecting IRA assets that can help you reach your goals so you don’t “follow the herd” and hope to avoid running off a cliff. You can reach us via our Contact Us form or call us at (800) 767-1423 today.